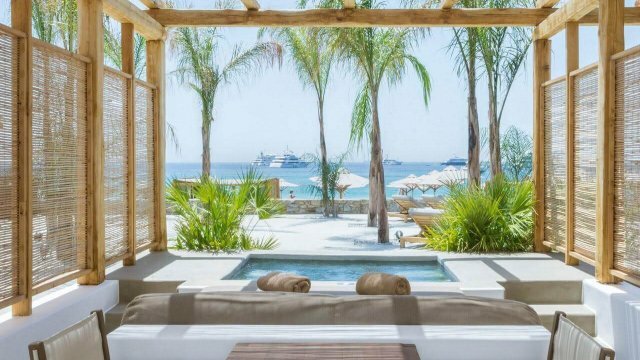 Stunning view to the Aegean and privileged to be located above the hidden gem of Mykonos, Loulos beach next to Kalo Livadi, Mykonos Pantheon Luxury Suites offers generously luxury and high-quality amenities to the guests. 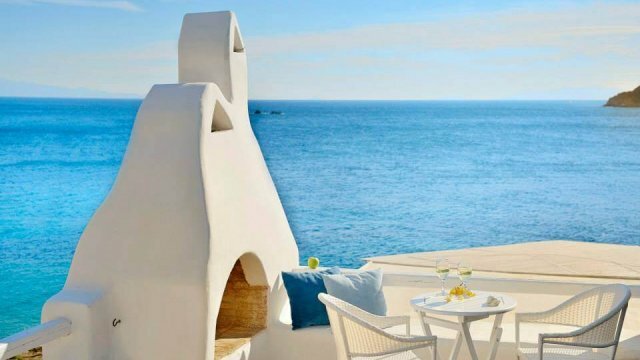 The residence consists of 15 stylish suites most of them have a view to the sea, all decorated with the greek summer palette. 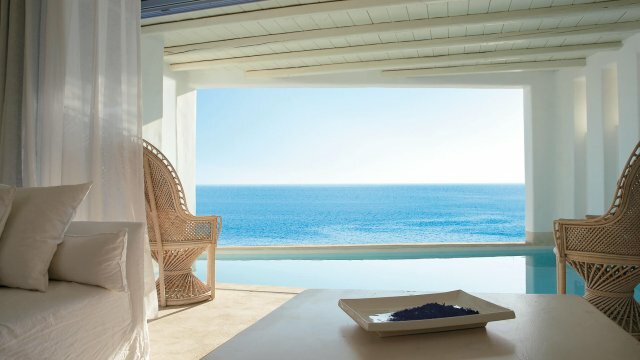 The blue color of the sea and the sky in the noon, the color of the sand and the white of the pebbles and houses in the Cyclades, the color of the trees and the wood, the rocks, the marble. 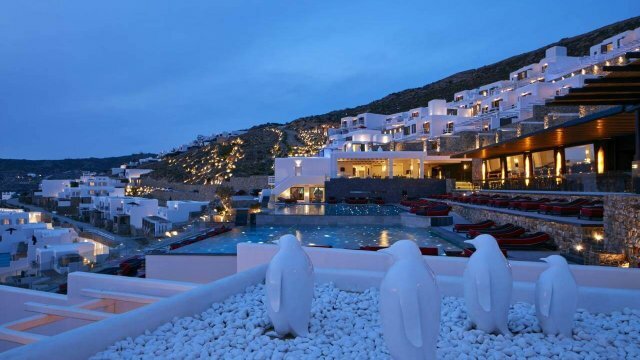 Order from the pool bar your favorite cocktail and lay to one of the sun chairs by the pool, next to the panoramic view of the sea and feel what it feels like spending summer in Mykonos. 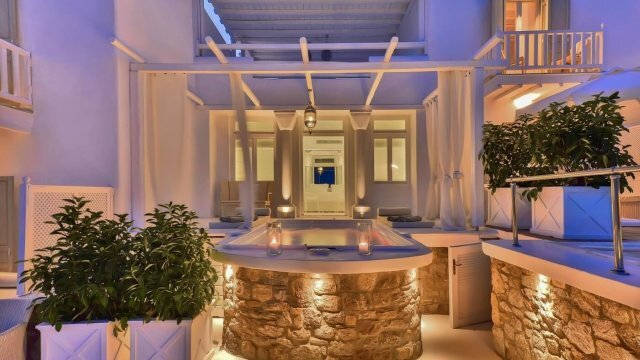 The staff of Mykonos Pantheon Luxury Suites is more than willing to give you all the right information and directions to help you find the things that suit you to fill your precious leisure. The perfect time to enjoy Loulos beach below is the sunset. Take your towel, since it is a non-organized beach, your camera, and good company and leave all the worries behind. It is time to let the sun heal you while you are breathing the fresh air in a completely untouched by the human environment.